Made to order - About a week before they ship once order is placed. After many requests for hood mounted fuel pressure brackets we finally have some done. 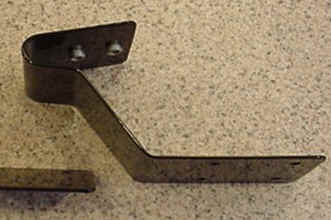 Made of steel and painted black, these brackets are meant to be used with Autometer 2 1/16" gauge pods. If you are using something different then you will have to drill your own holes as needed. The brackets are pre-drilled for mounting under the hood and also have special rivets installed for mounting the gauge pod. At this time we are selling these with the hardware for mounting the bracket but nothing else is included. Of course you can also use the bracket for a boost gauge or other gauge as you see fit. We will include 4 sheet metal screws to mount the bracket under the hood and two bolts for mounting of gauge/s to the bracket. 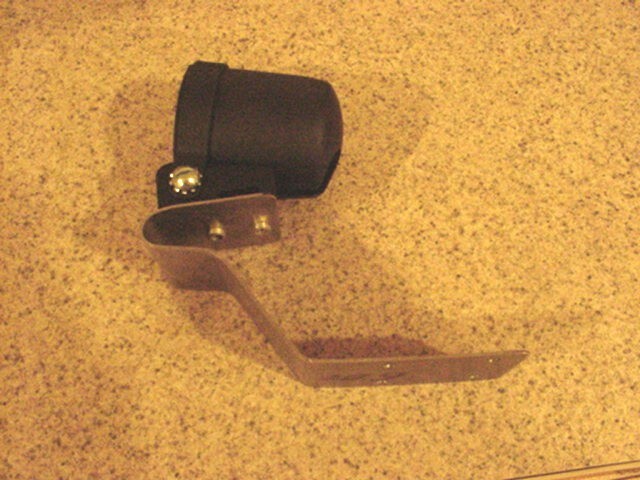 These are made specifically for use with Autometers #2204 2 1/16" mounting cup. (not included) Just screw your gauge mount right to the bracket, only a screwdriver is needed. Why settle for a cobbled up bracket when you can put something on your car that looks like it is supposed to be there. We are selling these in single gauge configuration. They are bent specifically to fit the contours of the TR hood and will clear your windshield wipers as long as you are careful with where you mount it and how you route your hose. Below are some pictures of the prototype before painting. Please note we have made some adjustments to the top part of the bracket AFTER these pics below were taken to have the gauges sit more level. REMEMBER, YOU ARE GETTING A BRACKET AND ATTACHING HARDWARE ONLY! Gauge cup and gauge are NOT included! FOR A COMPLETE FUEL PRESSURE KIT GO HERE!